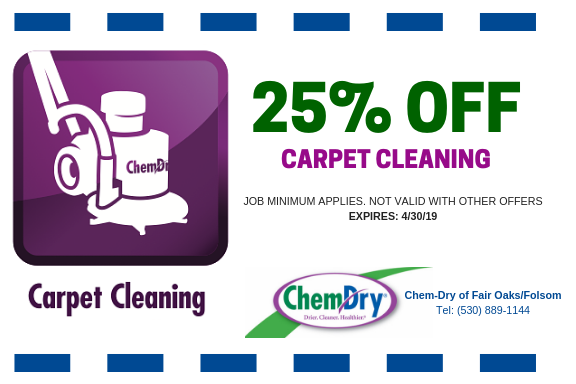 Other carpet cleaners near Folsom use excessive water, chemicals and soap that can all damage carpet or lead to instant resoiling. We feel our service is the best for your carpet and the health of your home! Chem-Dry of Fair Oaks/Folsom relies on The Natural® and Hot Carbonating Extraction (HCE) to deliver quality service and amazing results. 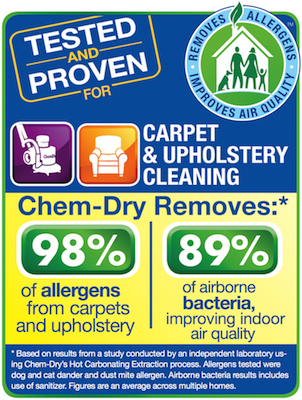 The Natural® is different than most carpet cleaning solutions because it doesn’t contain soap or chemicals. Instead it relies on the power of carbonation. This means The Natural® is green-certified and found on the FDA GRAS list. HCE is one of the most-recommend carpet cleaning processes and far better for your home and carpet than steam cleaning. HCE uses heated suction to extract all of the bacteria, dirt and allergens from your carpet into our disposal tanks and out of your home for good! 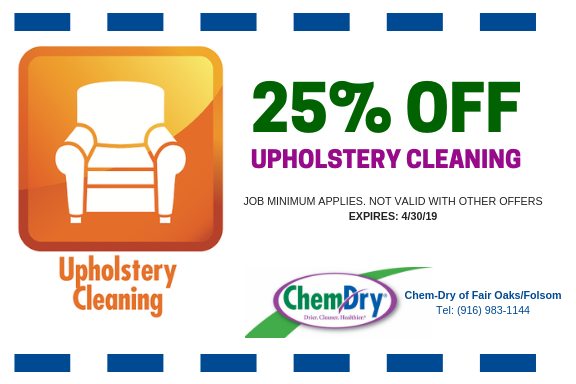 Our upholstery cleaning process in Fair Oaks delivers healthy results for furniture in your home. Deep cleaning for area rugs and Oriental rugs removes dirt and restores rugs from wear and tear. Tile cleaning, stone cleaning and grout cleaning from Chem-Dry of Fair Oaks/Folsom in California. Commercial carpet cleaning for small and large businesses throughout Folsom, California. Expert stain removal techniques and safe and tested solutions remove harmful carpet stains. Our powerful P.U.R.T.® process and treatment fights pet urine odors at the molecular level in 24-36 hours. Find out about pricing with our online FREE ESTIMATE tool. Find us on Facebook: Read posts for fun images, recipes, Monday Motivation, cleaning tips and more! 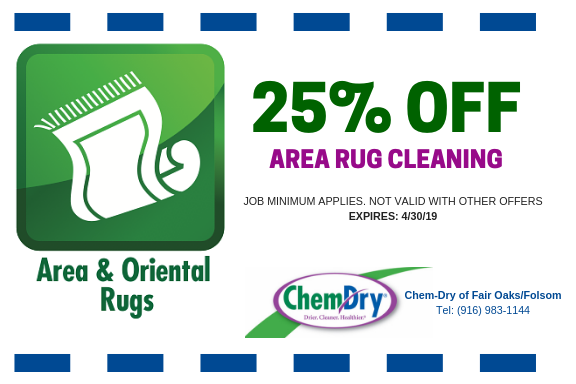 Tell us all about your experience with Chem-Dry of Fair Oaks/Folsom. Please review us here. The City of Folsom is located in beautiful Sacramento County, California. It is a suburb of Sacramento and apart of the Sacromento-Arden-Arcade Roseville Metropolitan Area.Today, Folsom is a diverse city with great parks, museums, historical sites, art, culture, music, amenities, and so much more.Folsom has some beautiful parks to enjoy. The John Kemp Community Park has great play structures and water features for kids, picnic areas, and plenty of grassy areas for pets to run around. 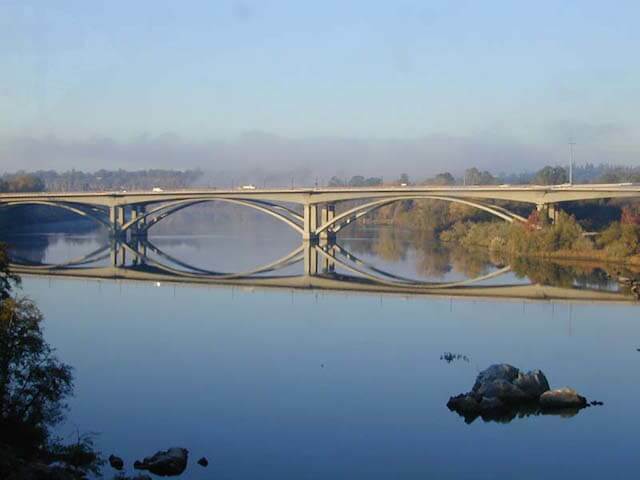 Lake Natoma is the perfect place to enjoy a picnic, hiking, biking, fishing or simple taking in the scenic views.The Historic Folsom Farmers Market is held every Saturday. There is a great variety of arts, crafts, fresh fruits and veggies and flowers brought by the local farmers and artists.Folsom is home to some unique landmarks like the Folsom Dam, which is a 340-foot dam and was designed in the 1950s to provide flood control and hydroelectricity, and the Folsom State Prison, which happens to be the prison Johnny Cash sang about. It was the first maximum security prison in the county.Folsom is home to dozens of exotic animals including birds, bears and reptiles. They can be found at the Folsom City Zoo Sanctuary. The zoo features a fun Art with Animals program where visitors can pick an animal and three paint colors, and watch their chosen artist create a beautiful work of art.We have plenty or art and culture in Folsom. The Stages Folsom and Ballet Folsom hold performances often and includes classic shows like “Swan Lake” and “The Nutcracker.” For great music, Folsom hosts a five-stage event that features 15 awesome bands playing country, rock, blues and more, every September for Folsom LIVE.To take in some art, the Gallery at 48 Natoma, showcases a range of works from paintings to sculptures and was voted #1 in art galleries in the 2012 Style Magazine Awards.Historic Sutter Street has something for everyone. There are a number of specialty shops like Burlap and Bees and Melange. For a hardy breakfast stop in The Black Rooster and for a delicious lunch or dinner try Samuel Horne’s Tavern.Folsom holds great events all year round. The Folsom Pro Rodeo features live music, pageants, motocross and much more. Every fall the Night of 1,000 Pumpkins brings families together to enjoy the 1,000s of jack-o-lanterns lighting up Historic Sutter Street. There is also trick or treating, movies and a costume contest.For Medieval fun, the Folsom Renaissance Fair & Shakespeare Festival features plays, jousting, food a more.Folsom is a great town with a lot of spirit and fun. It is a wonderful place to raise a family, live and work.